For most families, life insurance is not a dinnertime discussion. Family members can often find it challenging to discuss life insurance, but it can be a good idea and save a lot of time in the long run. If life insurance has not been the topic of discussion, it is a good plan to learn how to find out if someone has a life insurance policy. Many life insurance companies will not inform you that your loved one had a policy, whole or term, with them. Rather, it is likely that you will have to research and find the benefits yourself. Bank statements are great way to get a wide variety of information about regular payments that are being made. If any of the fees are being paid to a life insurance company, it warrants further attention. Contacting the life insurance company that is receiving the payments is an excellent way to check up on whether your loved one has a life insurance policy there. Take a look at storage areas that the deceased has. This can include things like their home, storage unit, safety deposit boxes, desks, dressers, random boxes, safes, and other places. You will want to look for both the policy itself and/or payment receipts. It is possible that you will not have access to your loved one's safety deposit box. If you do not have access, the bank will require that you bring the death certificate, along with an executor's testament, to the bank. If you are the deceased's spouse, you will generally only need to bring a death certificate and a marriage certificate. When someone passes away, continuing the mail and forwarding it to your address can provide a lot of information about your loved one's finances, debt, and insurance policies. For life insurance, data can be obtained in the form of policy premium notices, dividend notices, policy service notices, and statements. It is reasonable to do this for many months to make sure you have gotten all of the necessary information. Emails can be a little tricky to access and sometimes lead to a dead-end. They are, however, worth a try when it comes to getting information about insurance policies. Also, address books that are stored on a computer, or paper address book can contain clues about insurance policies, investments, and other information that may be valuable for closing out the estate. Things to look for include policy numbers, phone numbers of insurance companies, and phone numbers of insurance agents. Financial advisors and professionals, including attorneys, accountants, and investment advisors, often have meticulous records and useful information to help close your loved one's estate. Give them a call, or stop by their office, to ask if they are aware of any life insurance policies or other relevant information about investments, finances, and legal information. Your loved one's employer could provide group life coverage or other types of life insurance policies. For life insurance policies offered by their employer, or purchased through their workplace, the quickest way to discover this policy is often to talk to the employer directly. After, you can contact the insurance providers to follow through. Income tax returns from previous years can also give information about life insurance policies. You will be looking for claims for interest earned on life insurance policies. This is another way to track down the life insurance policies purchased by the deceased. The National Association of Insurance Commissioners (NAIC) has a fantastic website that can help you find your state’s insurance office information. Contact the state's insurance office, it is an excellent place to check. This is especially true if you have not had luck in other ways. Some state websites have tools that can help you search for missing life insurance policies. There are other websites as well, like missingmoney.com and NAUPA. Each of these can be a good place to check for unclaimed assets. Finding a life insurance policy for your loved one may be as easy as typing their name into the search tool on one of these sites. 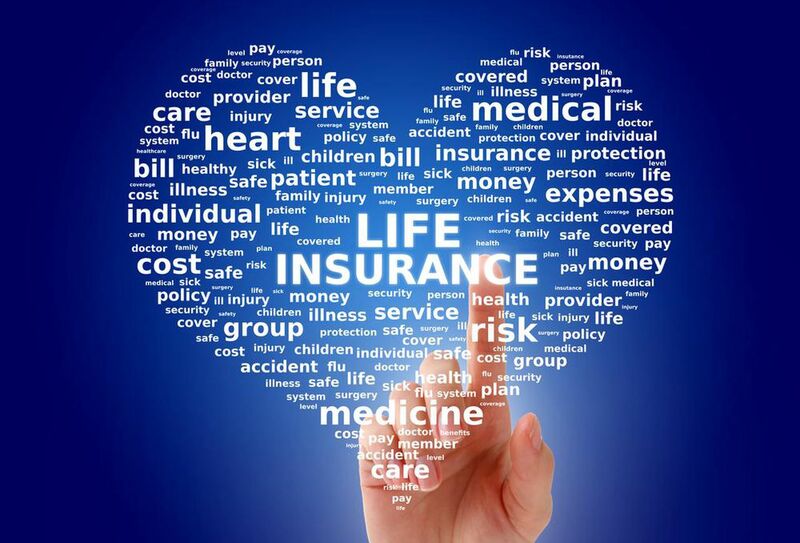 Keep in mind there are also companies out there who will look for a lost term life insurance policy on your behalf. Do your research when looking into companies, and get a good one. A good company knows precisely which processes work the best for finding the term life insurance policies of the deceased. Each company is different from each other company, and there are scammers that you will want to avoid. Be weary of companies that claim they will find you unclaimed money if you pay them upfront. Your accountant or financial advisor may know of good companies in your area and nationally to recommend. Many of these steps can be simplified with robust communication with loved ones. If you choose to purchase a life insurance policy, be sure to tell your loved ones that it exists. This will save them having to go through multiple steps, which can take a significant amount of time, to find the policy. Life insurance is designed to help provide your loved ones with financial protection and is an incredibly thoughtful and loving insurance to purchase. That said, it is not very valuable if the benefits are never paid to your loved ones. Let your beneficiaries know that you have a life insurance policy, and give them the basic details such as policy numbers and companies; this will make things much easier to find. By taking the time to organize necessary financial and insurance information, the often time-consuming and emotionally taxing job of closing an estate and claiming life insurance benefits can be a lot easier to do.